There’s tremendous freedom in letting something go. We’ve all been hurt or felt betrayed in our lives, and many times it’s difficult to let it go. It could be anything from something small- a hurtful word or insult, perhaps- to something much “bigger”, as in the case of the Japanese comfort women of World War II, whose plight has recently been in the news again. While we’re not sure how much of the issue is politicized- the Chinese and South Korean governments definitely have something more on their agenda, what with each country having ongoing islands disputes with Japan. Adding to the confusion is the recent story of The Asahi Shimbun, Japan’s oldest news publication, making corrections on their previous coverage on the comfort women, as well as the controversial comfort women statue erected by the Korean Community of Glendale, California. 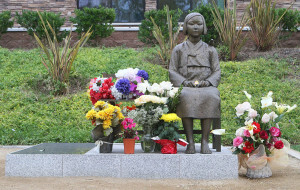 Consider, too, that nearly 20 years ago, the Japanese government made their own investigation into the comfort women issue, released a public apology (known as the Kono Statement), letters of apology to all survivors, and millions of dollars to the victims as well through the government-run Asian Women’s Fund Foundation. Earlier this year, the Pope visited South Korea and blessed a group of Korean comfort women before celebrating a mass for reconciliation. 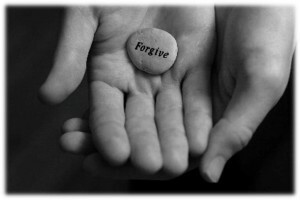 Apt, because reconciliation is what’s needed most in Asia today; and it starts with forgiveness. See, the truth is that you can’t heal a negative action with another negative action. The surviving comfort women are in their 80s now; many have already passed away. What they need most at this point is peace; the knowledge that their stories have been documented, and that the atrocities won’t be repeated; only then can they- and the countries involved- move on.